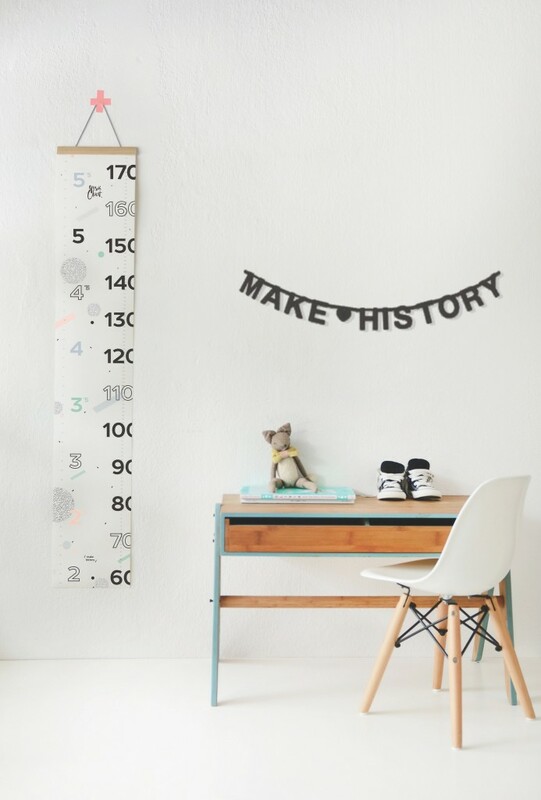 September is almost upon us, and that can only mean one thing: back-to-school season! 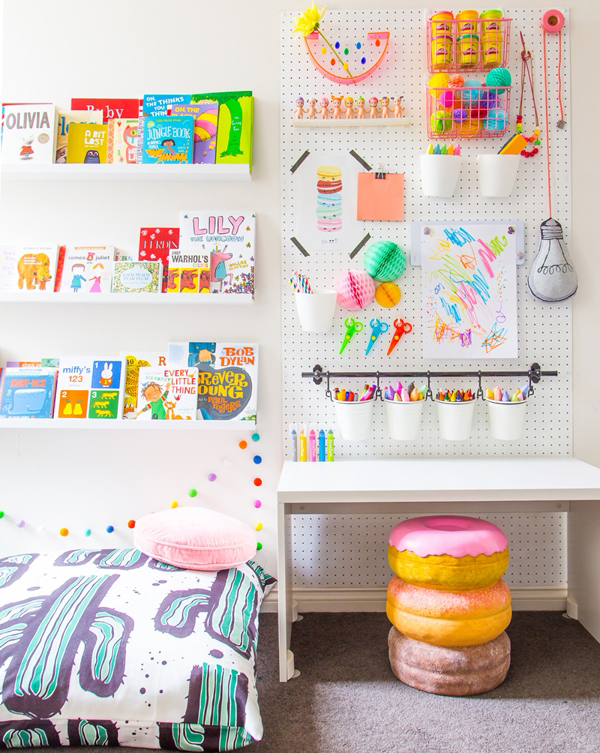 But homework doesn’t have to be boring – and neither does your child’s desk. 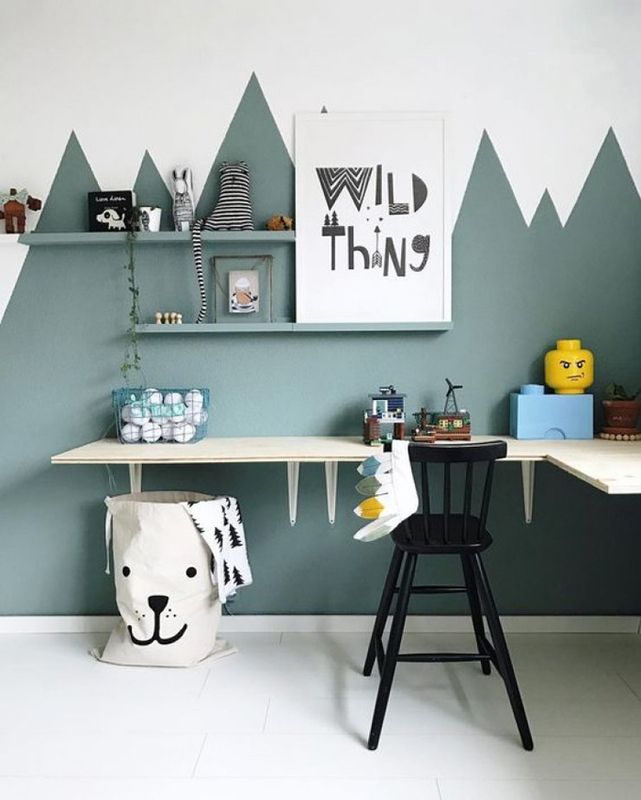 Whether it’s for homework, drawing, colouring or simply relaxing with a favourite book, it is possible to create a study space that is both functional AND fun. 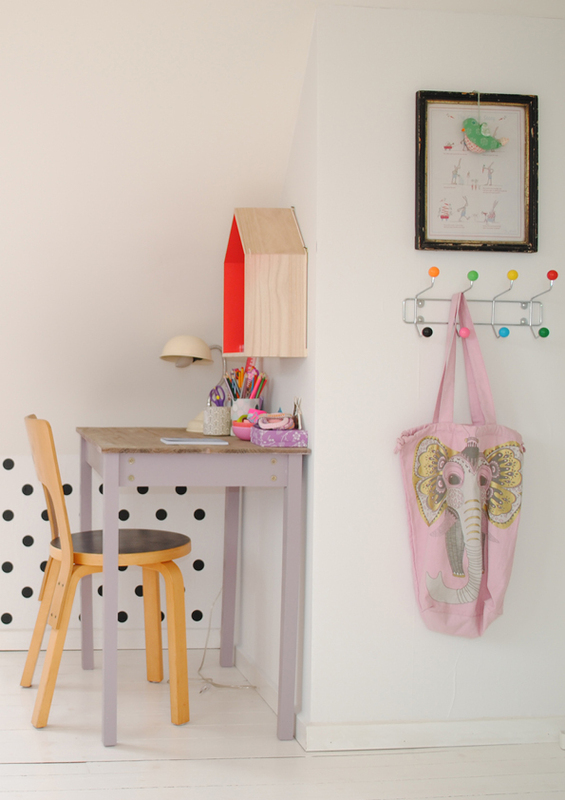 Running a table along the length of the room (as pictured above) makes the most of an area that may otherwise not be used for anything – especially in a loft room like this one. 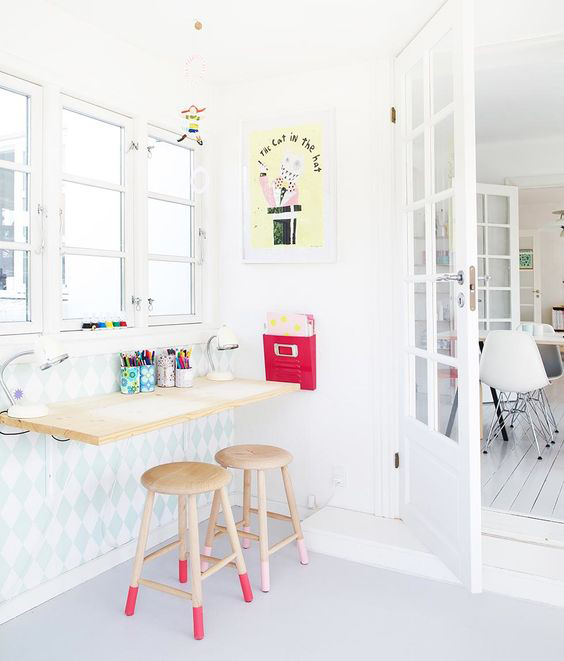 It’s light (thanks to the window) and bright (thanks to that cheerful sunshine yellow and white) with plenty of available desktop space for every activity you can think of! 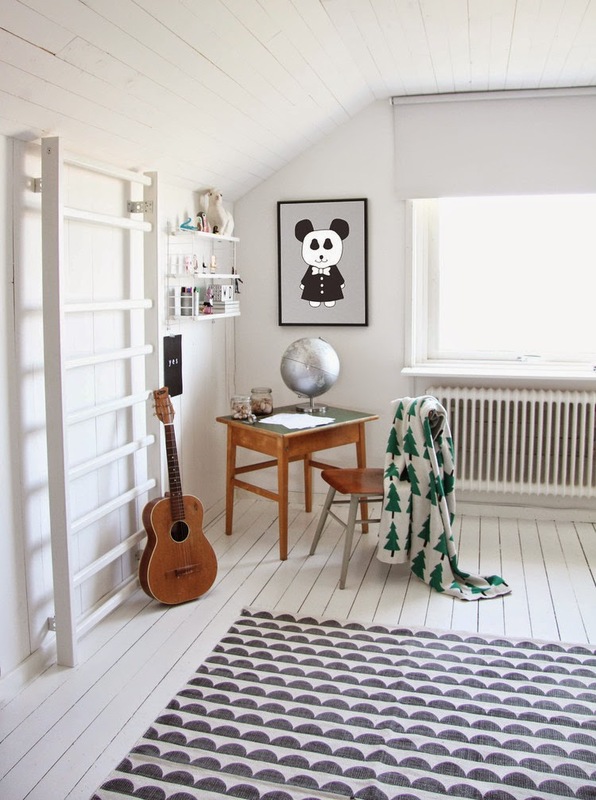 Don’t forget alcoves, unused corners, underneath loft beds, and even cupboards – because they can make perfect study zones too! 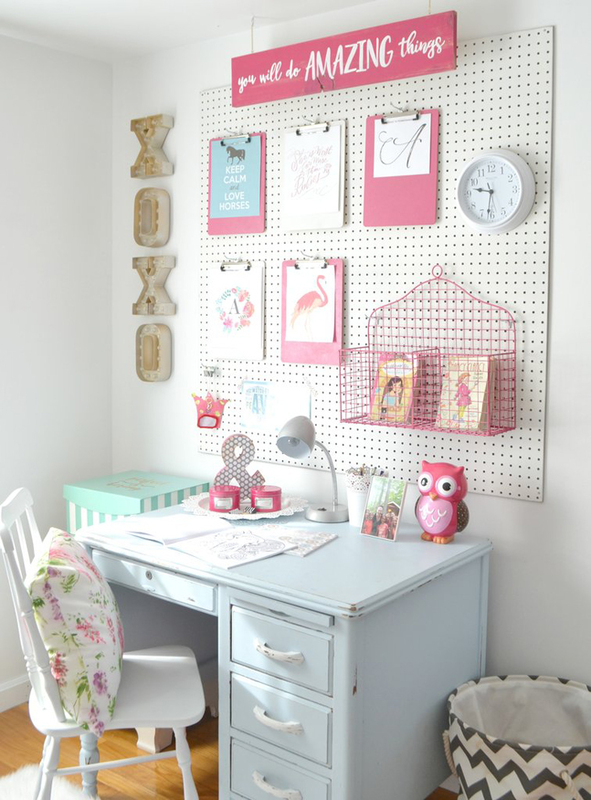 If you don’t have a lot of space, then why not consider hanging a wall-mounted shelf instead? 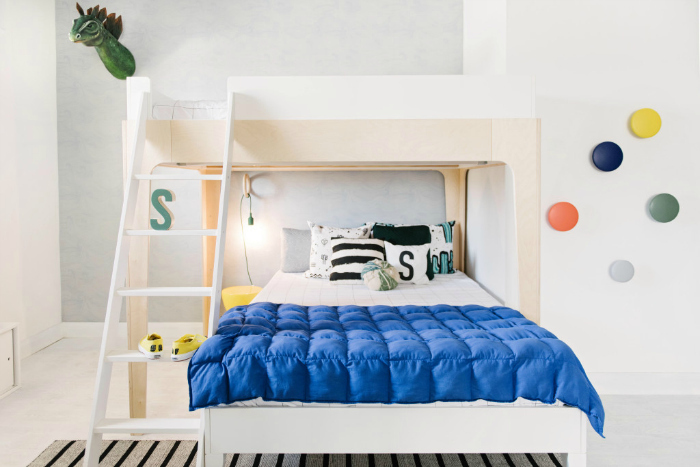 Simple and smart, yet effective too. 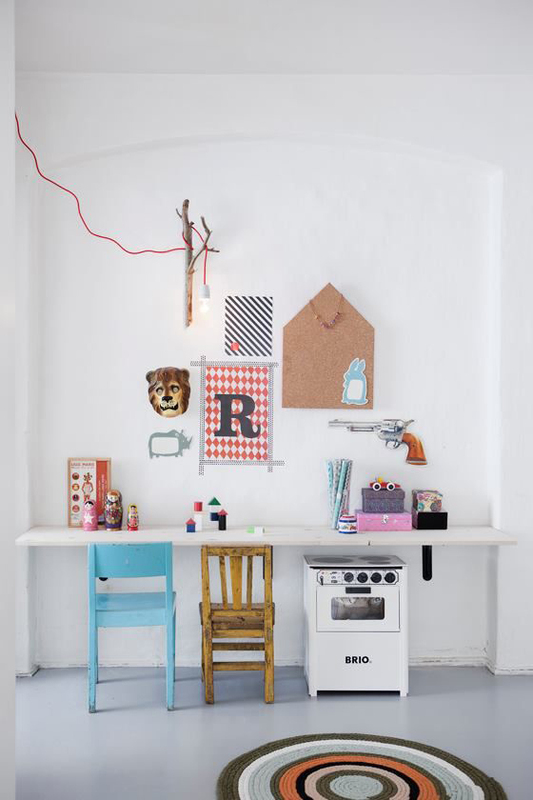 If it’s next to a wall, even better – hang some extra storage for all those arty bits and pieces and to help keep everything tidy and organised. 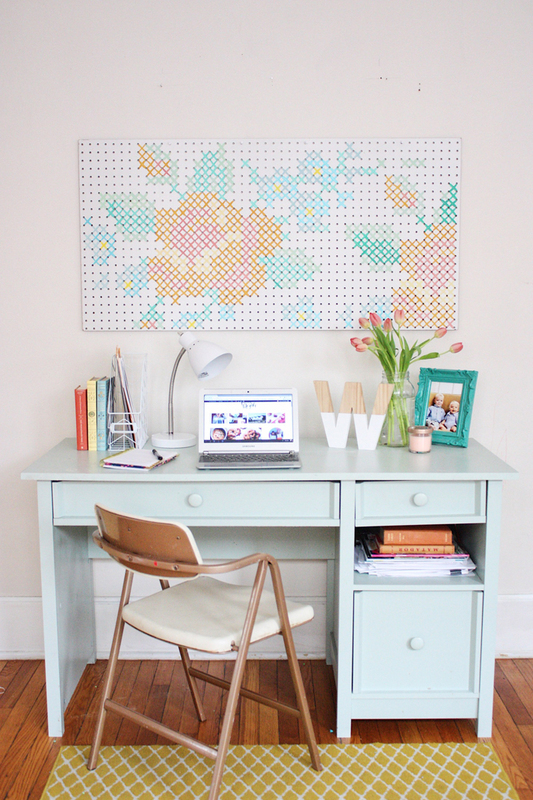 And don’t forget all that extra space underneath the desk! 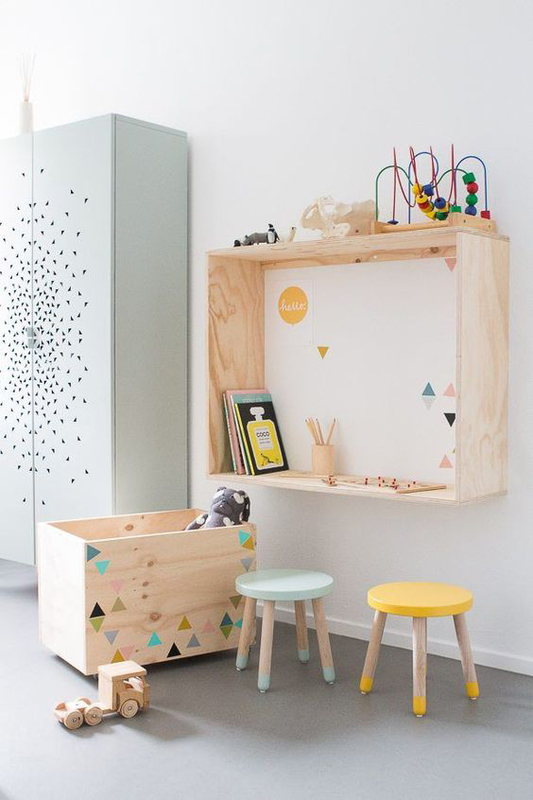 Stack some storage boxes, bins or baskets to stash away all the mess when work and play is over. 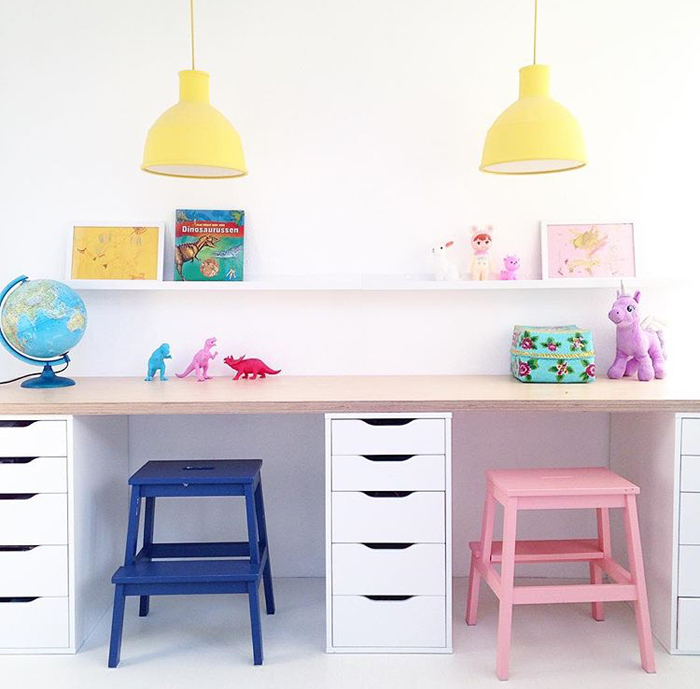 These Ikea steps look amazing painted in bright colours and used as stools! 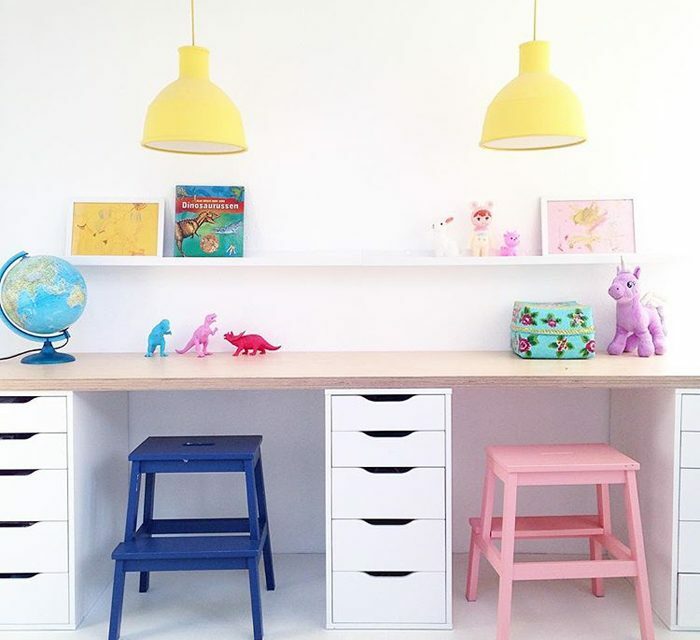 And we love how the drawers divide up the two areas whilst serving as functional desktop legs, not to mention brilliant storage for paper, pens, crayons and books. 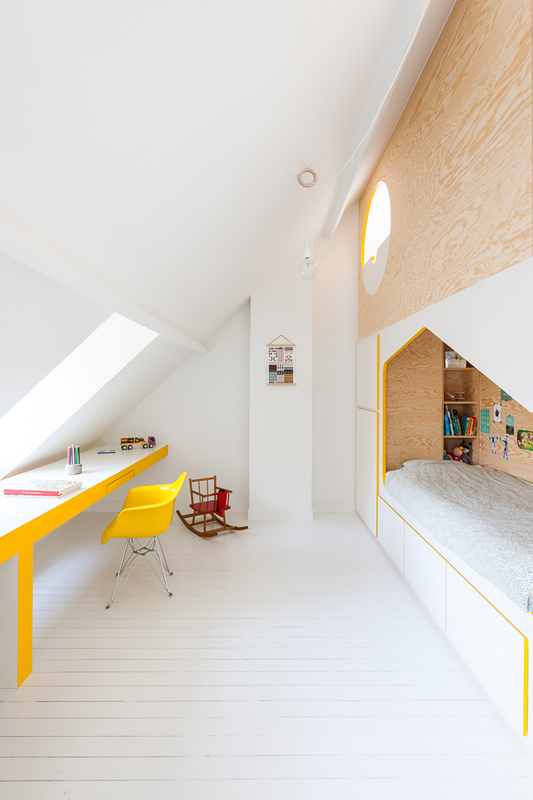 Image sourced from Coosje blog. Image sourced from Bobby Rabbit. 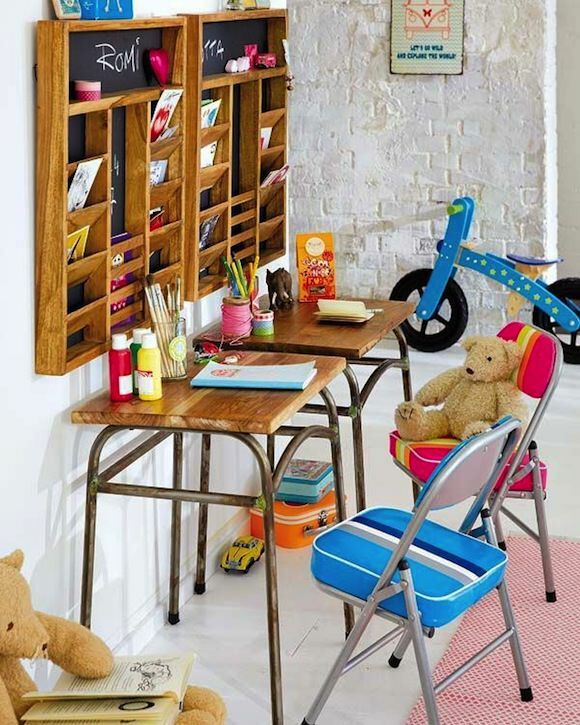 So, whether it’s for a 2, 12 or 22-year-old, you can keep their study space both fun and functional by adding elements such as a bright chair or stool, a colourful shelf or pegboard or a decorative wall feature through paint, wallpaper or wall art. 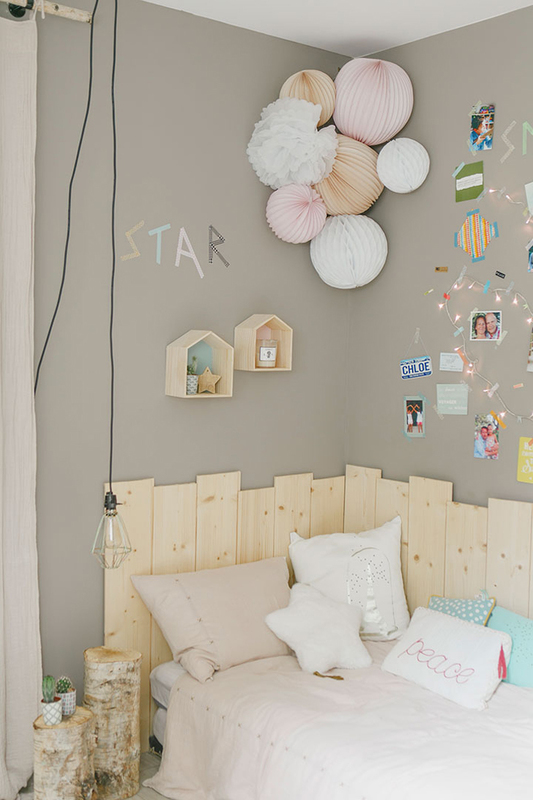 And let’s face it – when you have kids, there is plenty of wall art to display.